You must make reservations at least 5 minutes in advance of the time at Gypsy Saloon. Live Music - Thursday, Friday & Saturday Nights! Gypsy Saloon offers in house, off site, delivery and pick up! 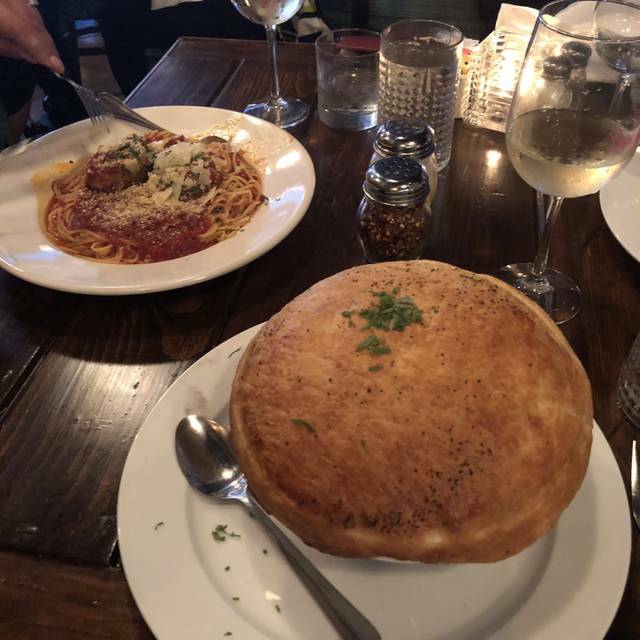 For a memorable dining experience, stop by Gypsy Saloon today for lunch or dinner and indulge in a cuisine that you’ll be craving time and time again. chef's selection, ask your server! When in the Philadelphia area, we make the trip to Conshohocken to visit The Gypsy Saloon. This is a comfortable, neighborhood establishment with good food, affordable wine selection, creative bartenders and a warm and welcoming vibe. Weekends are livelier! Our table enjoyed mussels over pasta with a spicy red sauce, the “Pork Chop of the Day” and a delicious homemade Chicken Pot Pie. The large 9” bowl was crowned with popover pastry and won’t disappoint. Very cute neighborhood-embedded restaurant with a super casual and “make yourself at home” vibe. Interior is a bit dark but decorated in a colorful and bohemian fashion. Attentive service and well-executed entrees. Gypsy burger was cooked perfectly as promised although the juices did make the bun soggy quite quickly - other items were served deconstructed (like the flatbread appetizer) so toasting the bun and giving the option of serving it as DIY might address this issue. Other entrees ordered included the Cobb salad (declared tasty) and homemade ravioli (passed the clean plate test). Portions are generous so we skipped dessert sadly. We would come back. This restaurant was so great. Live acoustic music, awesome food, awesome service. Been here several times for lunch and thought my friends would enjoy dinner here. Didn't expect the music and noise level SO it made for not a good choice to meet with friends to catch up. Adorable casual neighborhood restaurant with good food and decent wine selection. Temperature and chairs were quite cold so not 100% comfortable but we’ll go back when it gets warmer and for the live music. Gypsy is an electric place to have a great meal. The owner is always there to great you with a big smile and to make you feel at home. The food was amazing and the music was great! Steak night on Thursdays. Always a great night. Top quality steak, cooked perfectly for both of us. A wonderful meal. We will be back again. Another amazing all around experience at our favorite restaurant. Thanks Gypsy for being so consistently amazing! My husband and I had dinner for our first anniversary with Gypsy Saloon and it was wonderful. The food was amazing, the dinning room was cozy and inviting. We loved everything about it, thank you! This is a really fun place. Kind people. And always lovely to just watch and look around. And then endless Sunday and Monday night mussels. Happy hour is always good. Really never had a mediocre meal. Sunday eggs Benedict with a bottle of nice wine or omg.... the chicken pot pie. My go to. Yay thanks. We had a wonderful time and the food was delicious! Loved the “small neighborhood “ atmosphere. We really enjoyed ourselves. Unfortunately we do not live there but I told my dear friend who lives close by the restaurant, that she really needs to go there! We went to Gypsy Saloon for Valentines Day and had a wonderful dinner. They had a special menu in addition to the regular menu, special drinks and everything we ordered was delicious. The salads are huge. The mini pierogies were so good. I had the sea bass and my husband had the ribs and we both loved our dinners. Our waiter was great and the live music gave it that little extra. One if the best dinners we’ve ever had! The Special Valentine menu was excellent! I had the Chilean Seabass and my boyfriend had the Flank Steak. Both were prepared to perfection! Our waitress, Nelda, was exceptional! Served as our photographer too! Can’t wait to go back! It wasn’t busy so we probably didn’t need a reservation. We were seated immediately. Everyone was friendly. Our server was very pleasant however as time passed she never returned to our table and we had to ask another server for things we needed. She was very nice and picked up the slack for our original server. 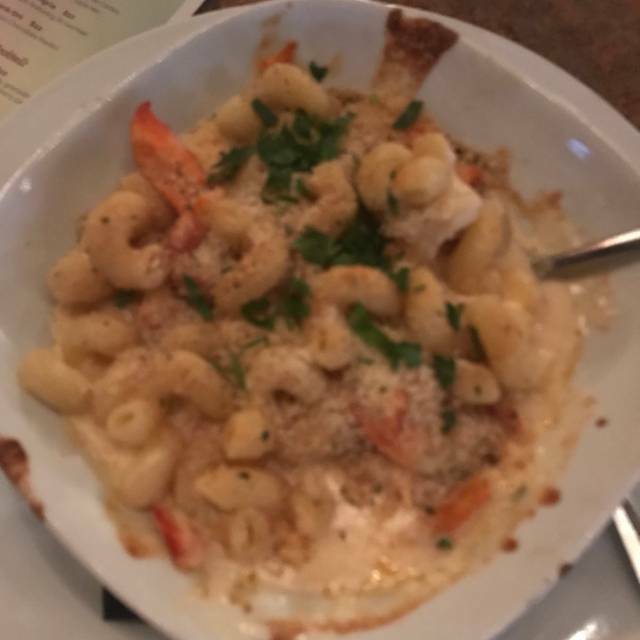 The food was good but $30 Mac and cheese is a bit ridiculous. I did not use the bathroom but my son and husband did and they said it was in desperate need of repair. It is a nice neighborhood restaurant but we don’t have a need to return any time soon. My sisters and I enjoyed a wonderful brunch. We were seated promptly and the waitress was exceptional. I/we will definitely go back to Gypsy Saloon! Atmosphere ,food and service was amazing! I had there shrimp tacos and there speciality cosmo for dinner! Would definitely to back!!! One of my favorite spots! Great for a date night or a small group of friends! Friendly eclectic atmosphere, WONDERFUL food and fantastic service!!! Great place off the beaten path! I chose The Gypsy Saloon for its unique style and tasty plates — never a disappointment! We had dinner at Gypsy Saloon this weekend and were pleasantly surprised as we've never been there before. Staff was very attentive and the food was delicious. Great Caesar Salad and they make all of their dressings. We had a lovely Sunday family brunch at the Gypsy. It was our first time there and we thoroughly enjoyed the relaxed atmosphere and good food. The menu was a bit short on healthy or veggie options but they are happy to customize your order. The service was great but it did take a while for our (custom-made) food to come out, so don't plan on getting in and out quickly. Also it was quite chilly in the back where we were sitting. All that aside, we would definitely return. Cozy venue and delicious comfort for a cold winter night. Great live music and friendly service! Our server was very attentive. 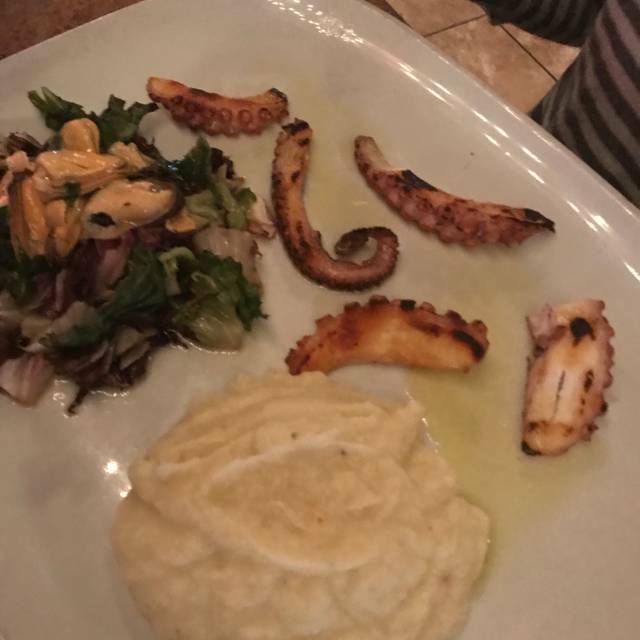 Great food - generous portions. Fabulous dessert! Truly our favorite little neighborhood gem! So lucky to live so close to a place with an amazing vibe. So cute insider, literally gypsy-like, and the food is heavenly, from apps to dessert!! The food, service, and ambience were great. I was there for a business lunch and will definitely go back again. Always an awesome time and enjoyable meal when I go to Gypsy Saloon, never disappointed! Great steak nite with our large group golf friends. Look forward to another. The food is always delicious. I am partial to the fish and shrimp Tacos but have tried many of the items on the menu and have never been disappointed. Appetizers are great, as awell as salads and the main entree's .. always happy when I go there! Food was delicious!!! Service was Exceptional! Highly recommend the breakfast quesadilla. Everything was great. Kim runs a tight ship!